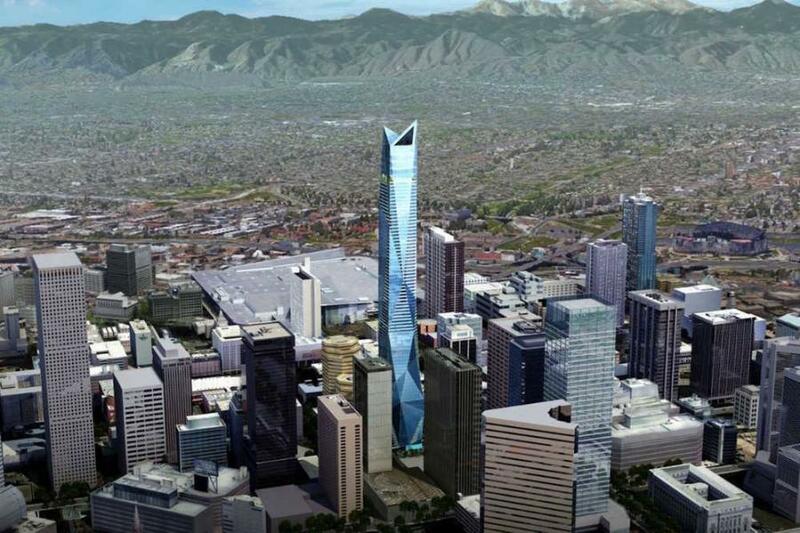 A New York City developer has plans on the drawing board that could dramatically alter the downtown Denver skyline and give the city an icon sure to stand out in this Rocky Mountain plains landscape. Dubbed for its physical address “650 17th Street: A Transformative Luxury Lifestyle Tower,” the $400 million skyscraper proposed by Greenwich Realty Capital will stand 75 stories tall — at 800-ft., the city's tallest — with more than 1,000,000 sq. ft. of luxury condominiums; a boutique hotel; 22,000 sq. ft. of retail space; and more than 500 parking spaces, according to a 42-page media kit created by Greenwich Realty Capital. 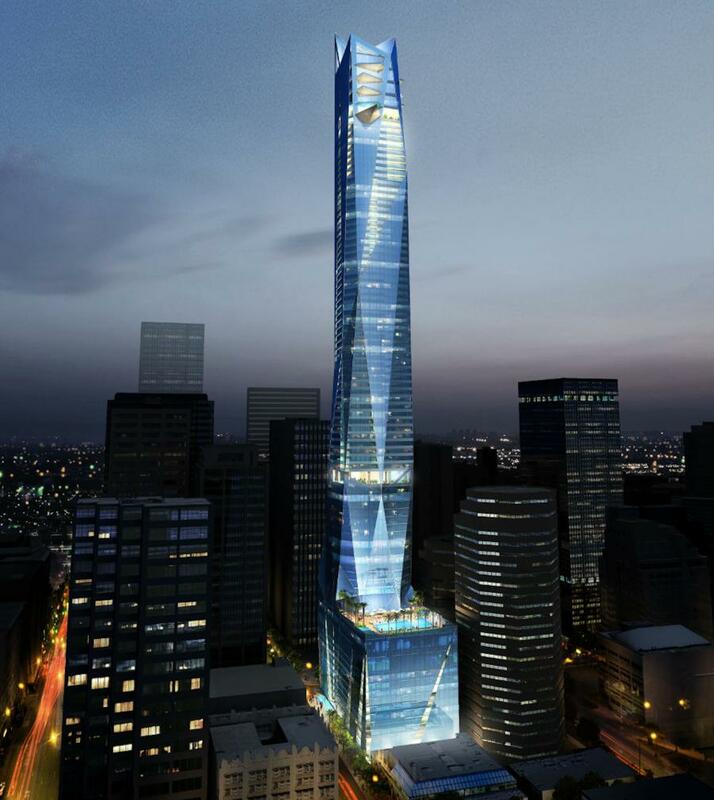 The soaring structure, depicted in renderings as a blue-hued mixed materials design, is being designed by “internationally acclaimed architect” Carlos Ott, an architect from Uruguay, who is working with the New York-based Crown Architecture and Davis Partnership Architects of Denver. • personal and bicycle storage. The firm has not yet submitted an application to the Denver Community Planning and Development Department for the project, said spokeswoman Andrea Burns, who noted that the agency would prefer not to comment on the proposal at this time. 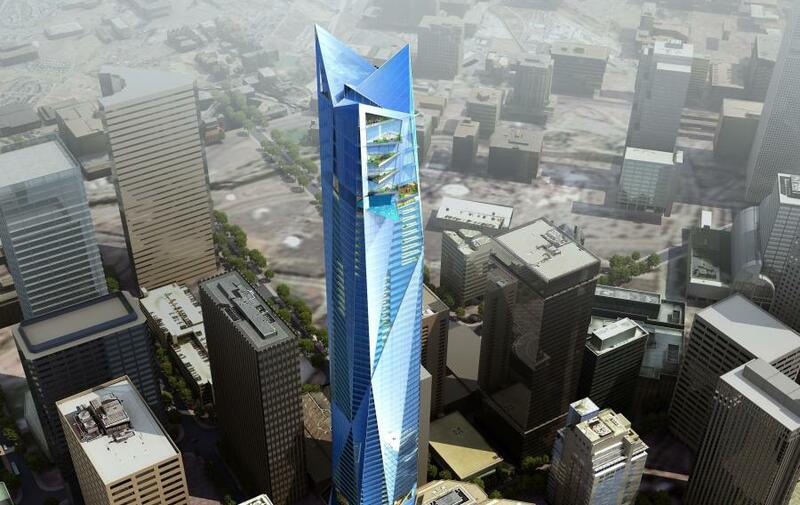 In choosing Denver for the site of the skyscraper, Greenwich considered the impressive list of praise the city has garnered for its livability, growth and job opportunities, as well as its popularity with both locals and tourists. “Ranked #1 by Forbes as the best place for business and career, and home to a robust and growing technology hub with more than 660 startups plus a new Amazon campus just 20 minutes from downtown, Denver is on a steady upward trajectory,” according to the media kit. “Private-sector employment has increased by 21 percent since 2010; 66 percent of residents hold a Bachelor's or more advanced degree; and the downtown population has tripled since 2000. Nearly 3 million sq. ft. of office space is in the planning stages and the city is wisely investing in making the downtown neighborhood walkable, sustainable, and appealing to its increasingly upscale population. Some of Denver's other accolades include: second best place to live, by U.S. News & World Report; second best city for job seekers in 2017, by NerdWallet; second best city to start a career, by WalletHub; third best city to start a tech career, by ComputerTrainingSchools.com; third hottest food city, by Zagat; fourth largest increase in workers, by LinkedIn; fourth best city for millennials, by SmartAsset; and fourth fastest growing large city, by WalletHub.